Hi, friends! 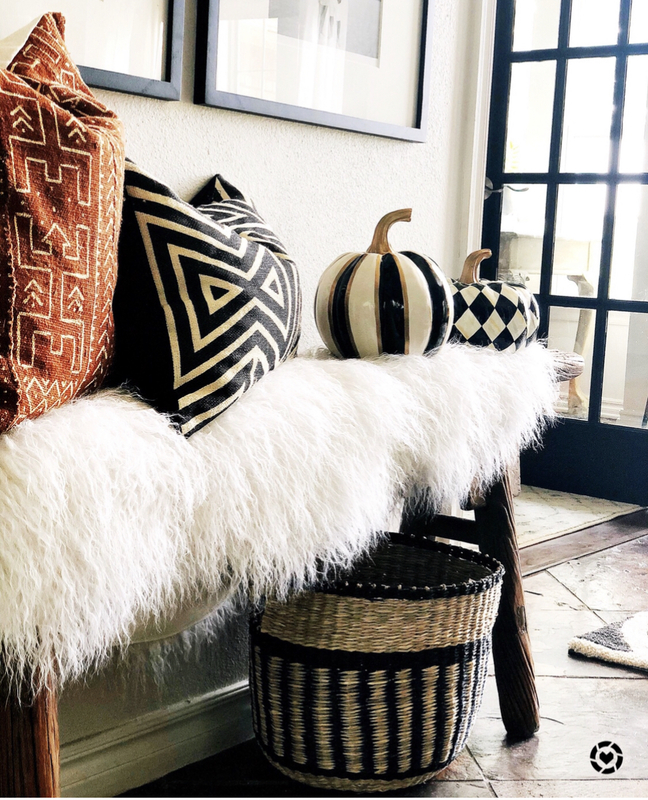 Even though I put my fall decor out WAAYY before it felt like fall, I am just now getting around to sharing on the blog. I LOVE decorating for fall. The feel of cooler temperatures, the smells of soups and ciders (of course, pumpkin everything), and the thought of family gatherings always makes me feel festive. 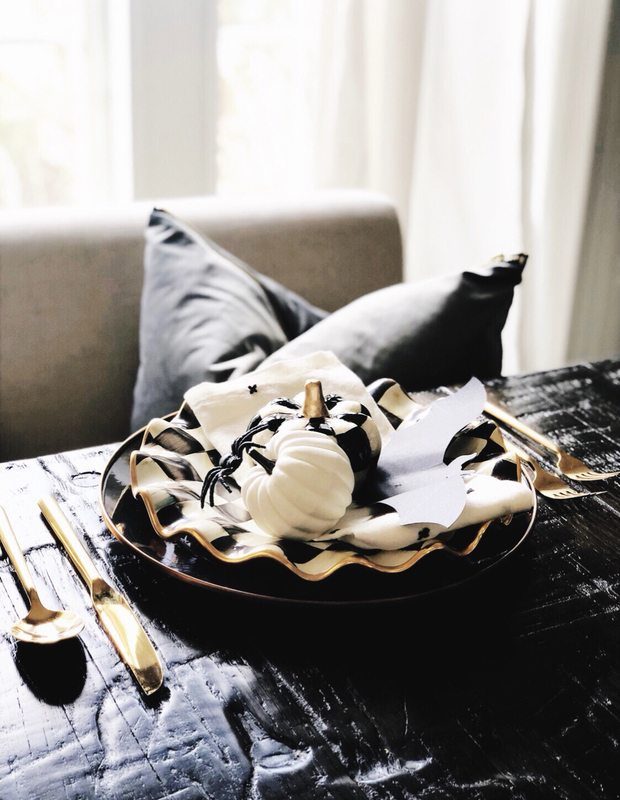 I keep my fall decor fairly simple. Too much of anything makes my house feel cluttered. 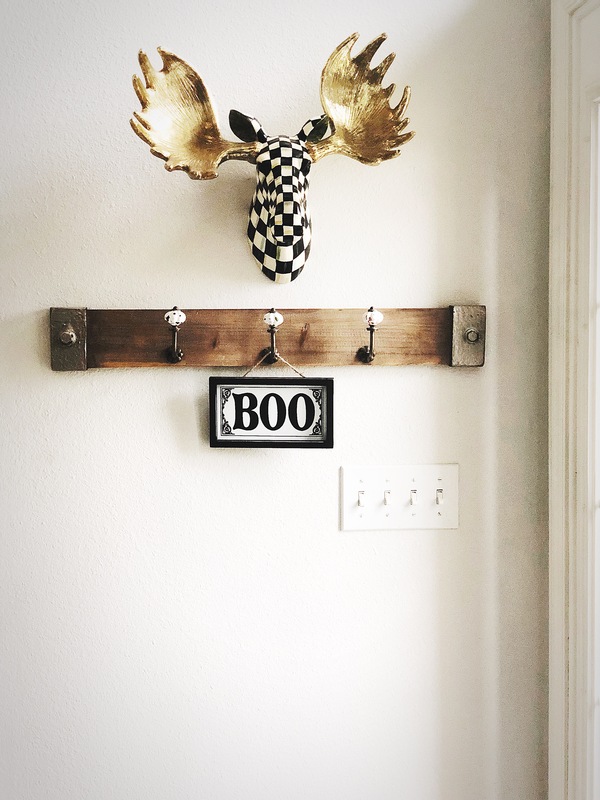 My Mackenzie-Childs Moosehead hangs above the coat rack inside my front doors. 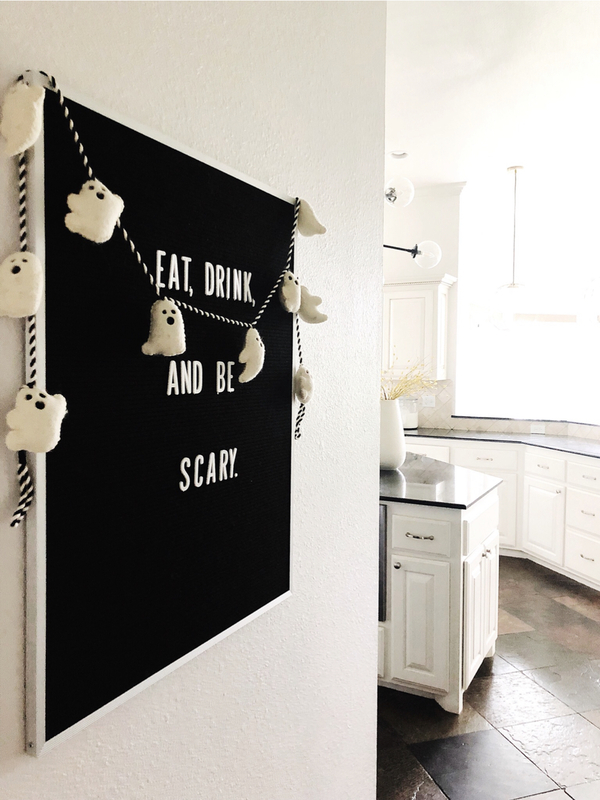 I found this "BOO" sign for less than $5 from Hobby Lobby. It adds the perfect Halloween touch. Next, I added a quote or holiday saying to my letter board. I found the ghost garland at Marshall's. 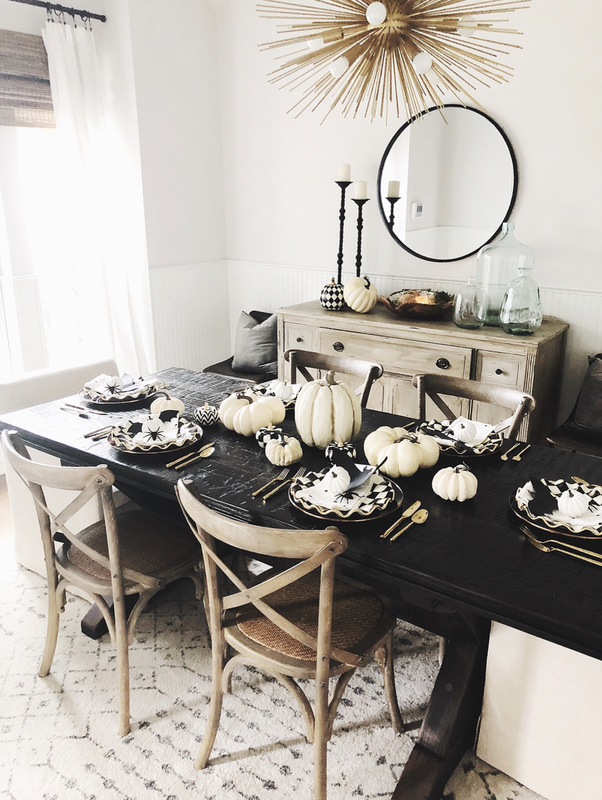 These faux white pumpkins are some I have gathered throughout the years. 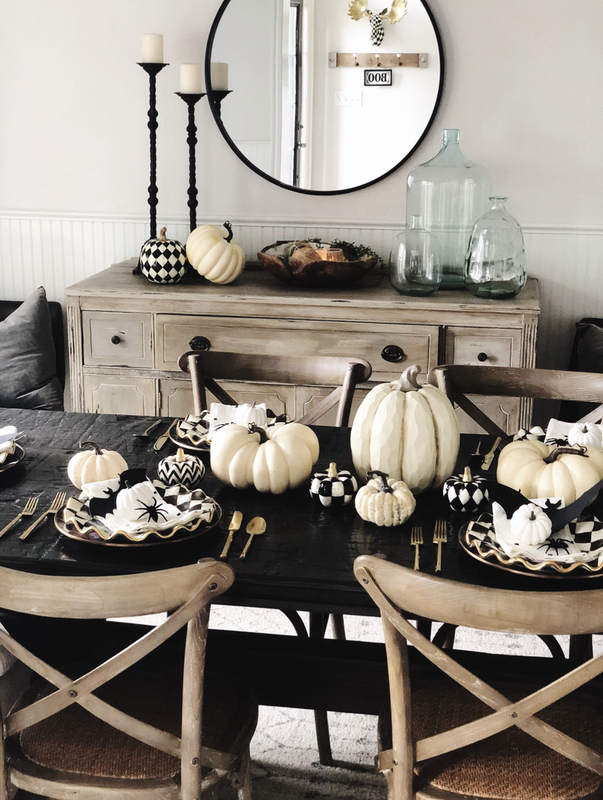 I love how the black and white Mackenzie-Childs capiz pumpkins add a bit of contrast and class. The X Patterned napkins are from Target's Hearth and Hand line. For a bit of whimsy, I added plastic spiders and paper bats (I think I found them last year at Walmart). With hardly any effort, I have a tablescape! Here is a close-up of my table setting. The charger is Mackenzie-Childs Flower Market, and the plate is the fluted Mackenzie-Childs Courtly Check. The gold silverware (that's an oxymoron) is from Target. Though others have mentioned discoloration with their Target Silverware set, mine have upheld lots and lots of use and washings in the dishwasher. 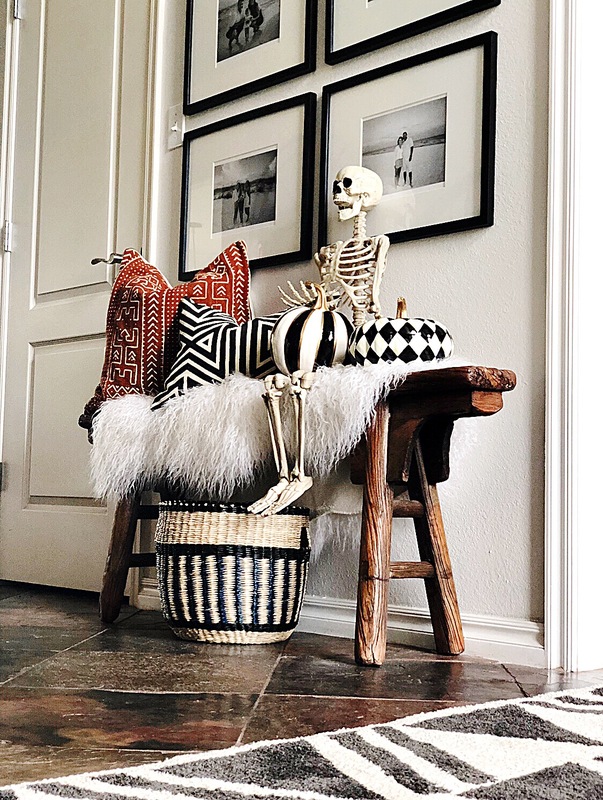 I cannot possibly have fall decor in my home without Mr. Bones! He moves throughout my house. Here, I have him dressed in the Courtly Check bistro apron, sitting at my desk. I threw some pumpkins in the Mackenzie-Childs everything bowl and added more plastic spiders for a fun touch. A smaller Mr. Bones sits on my entry bench. 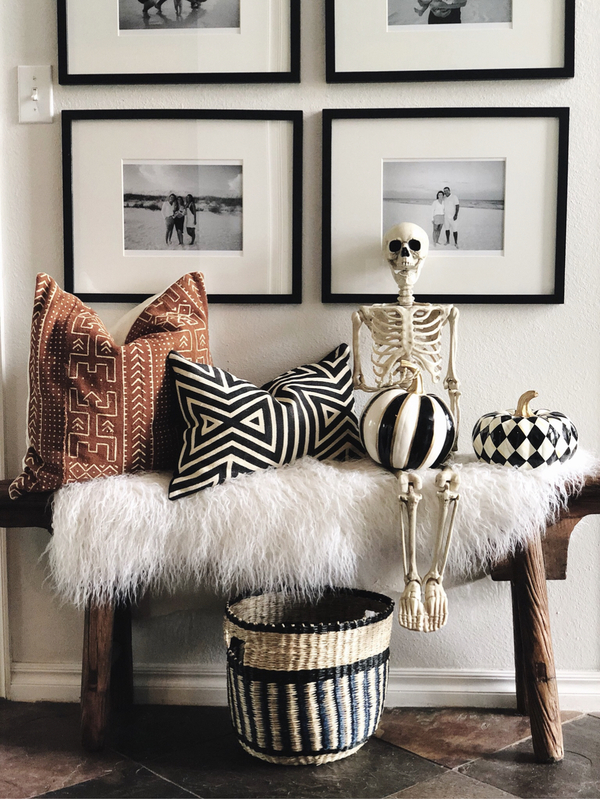 The rust mud cloth pillow alongside the black geometric lumbar are the perfect mix of Halloween colors. 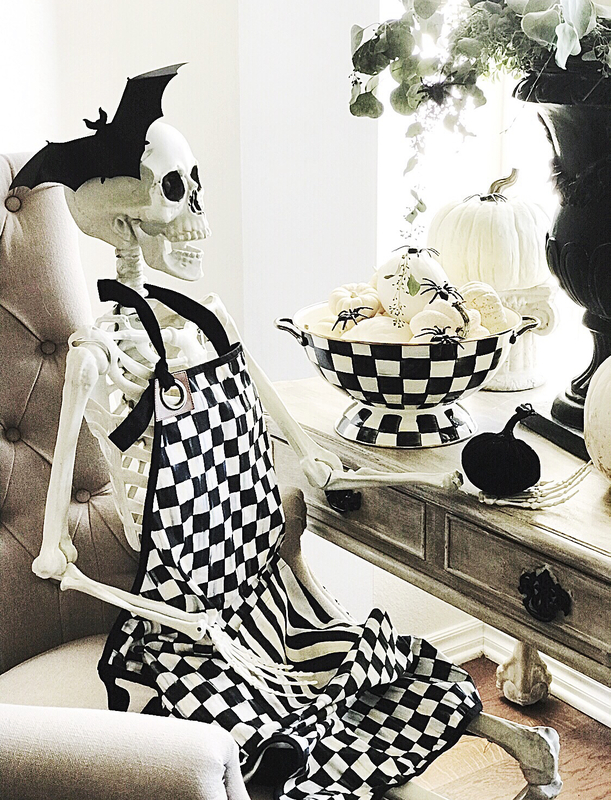 The striped Mackenzie-Childs small pumpkin and the Mackenzie-Childs Courtly Harlequin Squashed pumpkin are so fun. Finally, to make the house smell amazing, I bake some pumpkin bread! 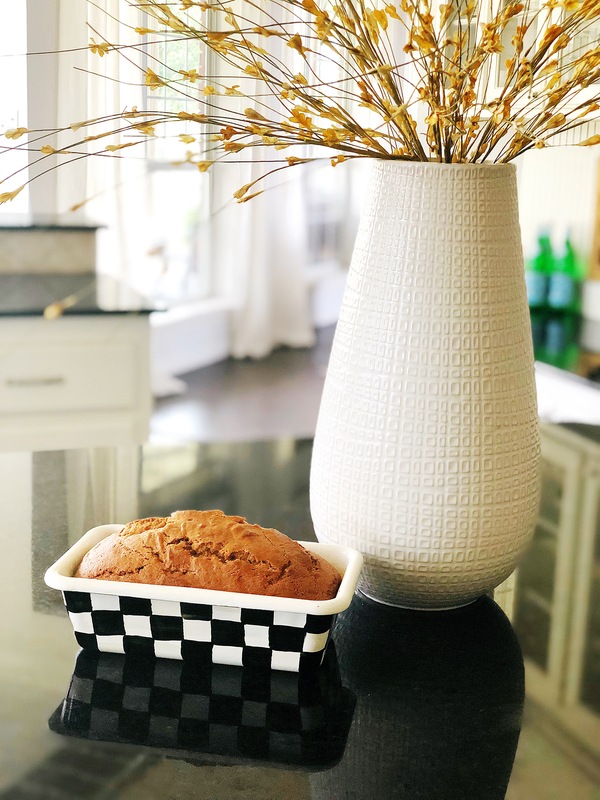 See my blog post and recipe for the best pumpkin bread ever! I make sure I put candy corn in every candy dish I own. Candy corn (with peanuts added) may be the real reason I love fall so much. I hope you enjoyed my tour. Happy Fall! Don't forget to eat, to drink, and to be scary! Love your framed black and white photos! Where did you get them? The photos are personal family photos. The frames are from Target. 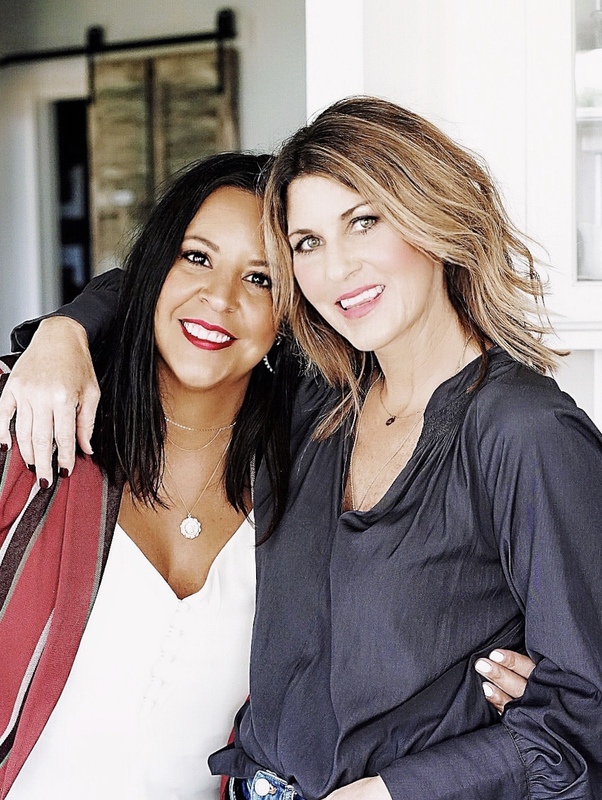 I have the exact frames sourced on our blog; just go to “Shop Our Instagram” and click on any picture you see that you would like to shop, and you will be directed to where we purchased. Where is the bench from? I got that from Tuesday Morning. It was a great buy.